Since arriving on the Mardi Gras scene in 1976 this couples and singles club has established itself as an organization that stages one of the most elaborately costumed Carnival balls and street parades of each season. 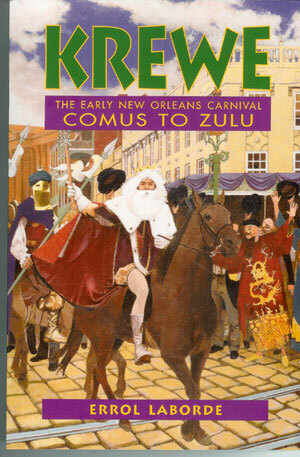 While maintaining many of the 19th century traditions of Mardi Gras – keeping their signature approach to their theme secret until the night of the annual ball – they have continuously “pushed the envelope” with their very elaborate and detailed Court costumes. They remain a unique entity within the broad variations of Mardi Gras organizations by producing these phenomenal costumes using all donated labor of Krewe members known within the organization as “THE BACK ROOM GANG”. This is not to say that very special attention is not given to their Krewe costumes – some of the most complete and detailed in all of Mardi Gras. Aquila has been very active within the New Orleans tourist and convention business by restaging shortened forms of either their ball and or parade for visitors to the city.The Krewe of Aquila parades in Jefferson parish on the standard East Bank route on the Friday night before Mardi Gras. Their cast of both male and female members presents to the public one of the most eagerly awaited parades each year. Royal mini floats showcase their Maids and Dukes within the parade each year. Aquila’s members have developed a reputation of being some of the most generous in all of Mardi Gras when it comes to the amount of throws distributed to the throngs of spectators lining the parade route. Among the emblem collectibles thrown each year are their doubloons, cups, medallion beads, footballs and their signature plush eagle – known as “spirit”.